Contrary to popular belief, marketing especially in the developed world is neither purely online nor purely offline, it is nonline. The stage they are in their purchase cycle. The type of product/service they are purchasing. Value of the purchase. For example not many feel comfortable making a high value purchase from a mobile device. Their comfort level with the technology. Some people prefer making purchase online, some offline. The type of tools and technology available to them. For example not every person has got access to high speed broadband. So their purchase behavior is going to be different. In a nonline marketing world, a custom purchase journey is very different and often complicated. Form the chart above we can conclude that the customer purchase behaviour is not linear. If you are a multi channel retailer with both online and offline presence, then you should execute “nonline” marketing campaigns and measure effectiveness of such campaigns. A nonline marketing campaign is created and executed, taking both online and offline exposure/touchpoints into account. True multi channel analytics is nonline analytics. When we talk about nonline analytics, we do not measure just the online customer purchase journey or just the offline customer journey but we measure the overall customer journey which include exposure to both online and offline marketing channels/touchpoints. So we no longer run marketing campaigns just to boost online sales or just to boost offline sales. We run campaigns with the aim to increase both online and offline sales and improve customer experience across digital and non-digital channels. In a nonline marketing world, we cannot afford to ignore the online impact of offline campaigns and offline impact of online campaigns. We need to take overall impact into account in order to improve ROI across marketing channels. Why you should care about nonline analytics? 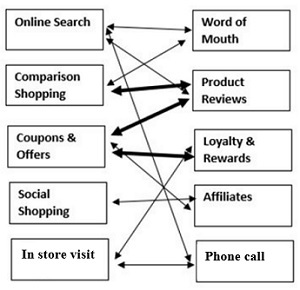 Since customers’ behavior is usually not linear, their conversion path can include series of interactions (exposures) with dozens of marketing channels (both online and offline channels). This makes their purchase journey very hard to understand. If you do not take into the account the role of various online and offline channels in creating conversions then you won’t be able to understand your customers actual purchase journey and more likely attribute conversions to wrong marketing channel and lose money. In a nonline marketing world, no channel is solely responsible for creating conversions. Different channels work together to create conversions. Primary key is a term used in MS Access (a database management system from Microsoft). This key is used to uniquely identify each record in a table. In the context of nonline analytics, primary key is used to connect and merge the online and offline marketing data. By merging such data you can measure the impact of offline campaigns on online campaigns and vice versa. Without primary key, you cannot do effective nonline analytics because there will be no way to tie online visits/conversions to a stimulus (thing or event that evoked activity) from an offline campaign and vice versa. 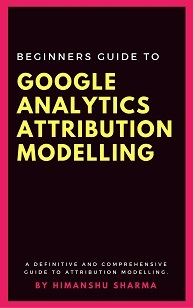 You can use: ‘Vanity URLs’, ‘Promo codes’, ‘Coupon codes’, ‘surveys’ etc as primary key. If a vendor/consultant promise to do nonline analytics for you then ask him one simple question: “What will be your primary key”. If he cannot answer this question, then he does not know, what he is talking about.